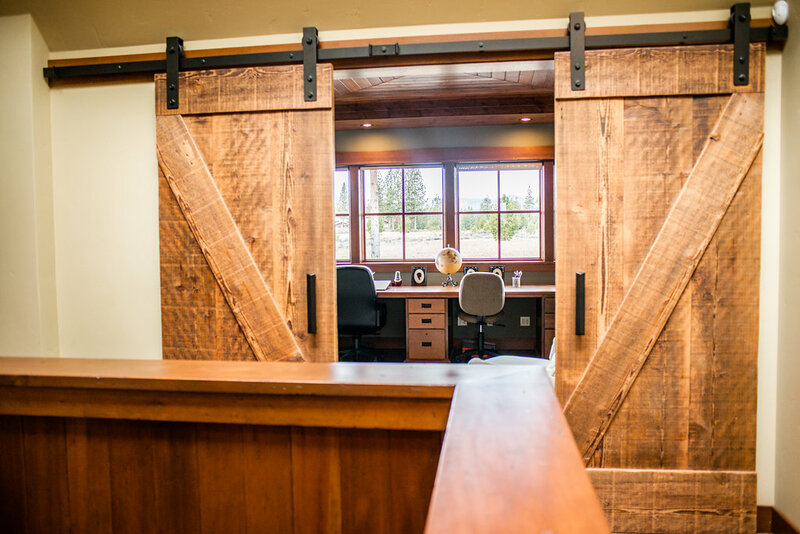 Whether you skew toward the rustic or you’re following a sleek, modern line, you’ll want to give “Barn Doors” a serious look in your custom home or remodel project. “Why?” you ask. Beyond space saving functionality, there may be financial incentives as well. A 2016 Zillow analysis found that listings with “barn door” in the description sold for 13 percent more and 57 days faster on average than their estimated market values and sell times. Using sliding barn doors to mark the entrance to a special space, like this children’s study room, can be a the perfect blend of style and function. 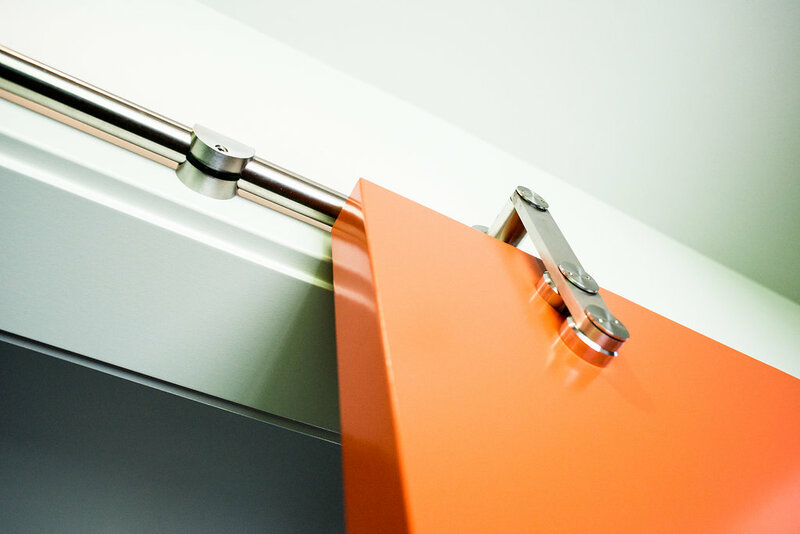 Sliding doors can be a versatile decor solution. These rustic sliders support the home’s styling while offering the quiet offered by a closed door. Using distressed wood or smooth, painted panels as sliding barn doors turns an accent wall into something far more interesting and functional. 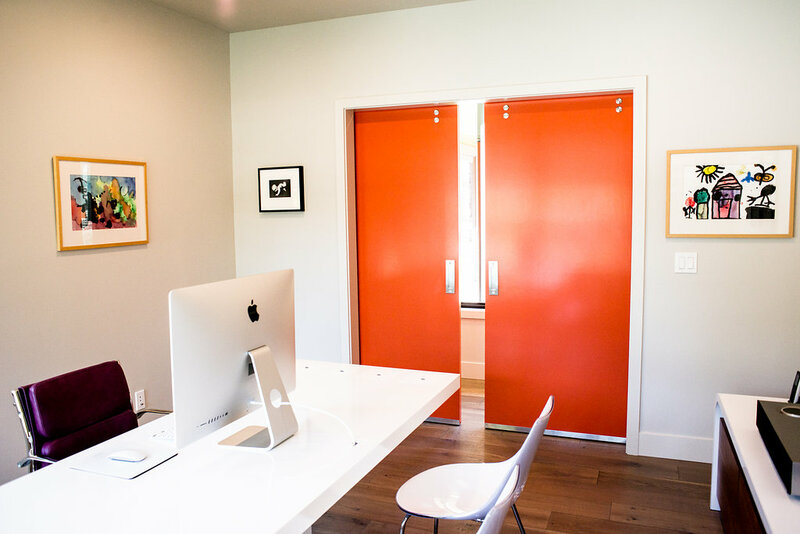 These bright orange panels bring a beautiful pop of color to both the office space and the hallway – leaving space for artwork in the office while the doors are opened or closed. Similarly, the brilliant color adds to the home’s decor without cramping space in the passageway. 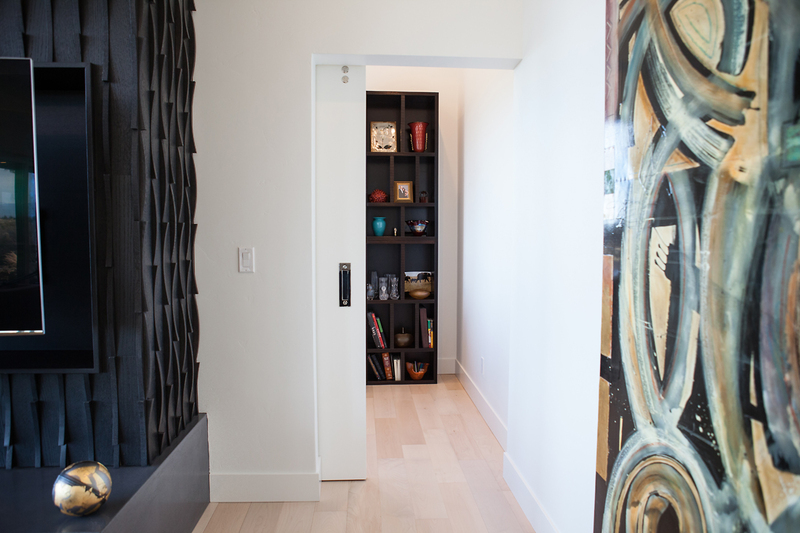 Barn doors can also be used to conceal and reveal various elements of your home. This home office can be cleverly hidden from the great room with a simple slide.